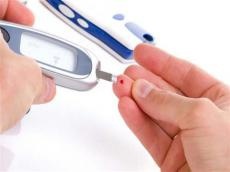 One person gets diabetes each hour in Iran’s Yazd Province, Director of the Diabetes Research Center of Yazd Mohammad Reza Agaei said. "On average, the number of people with diabetes is increasing by 25-27 people per day in the province," Agaei added, Trend reports referring to ISNA. Agaei added that half of the inhabitants of the province has diabetes. According to the statistics for 2016, the population of the province reaches 1.13 million people. According to the statistics, presently, eight million people suffer from diabetes in Iran.